Gretchen Van Lente will be signing books at booth 39 at the Portland Book Festival on November 10th. I studied with George Saunders and Tobias Wolff, and I taught Creative Writing at Florida Gulf Coast University. 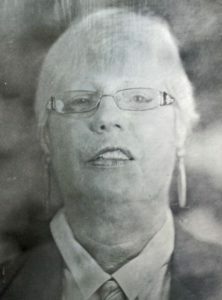 I have published in most genres, including children’s educational television, and as a journalist for The Malibu Times and various Santa Monica papers. I have over thirty short stories in magazines such as The Barcelona Review, Failbetter, Gargoyle , and The Seattle Review. I have two published novels, Hydrophilica, by Alternative Book Press, and She-Thing, by Hammer and Anvil Books. In Portland I produce a pop-up reading series called The Reader as Artist. 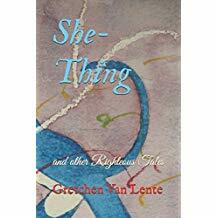 She-Thing and Other Righteous Tales offers fanciful storytelling proof that there is justice for every slight you ever endured, in an assortment of stories set in the parallel universe that resides within and without you, parables of the heart that beat closer than the memory of your worst enemy. That is where your not-so-imaginary monsters are born–the primordial that prevails within. And if you are an angry feminist, or just plain angry, think of each story as your own personal spell to be cast over the mayhem in your life.